I was to superimpose two atom cloud images in Mathematica, with one cloud image centered on the other one. I have tried looking at other threads on this topic but haven't been able to get their solutions to work. I attached the two images to this post. The main issue is that I can't get rid of the white background when I try to overlay the image. Changing the opacity doesn't seem to help either. 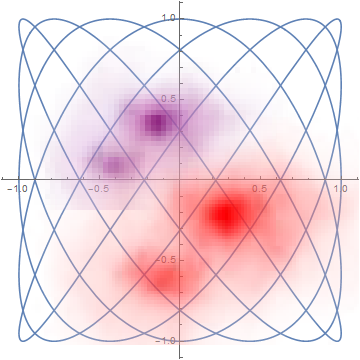 Ideally I would be able to overlay the images and adjust the transparancy of one relative to the other. There are also several options for the ImageCompose function and you might try them: you can put the object "on top of" or "xor with", etc. There are different way to compose the images, e.g. Not the answer you're looking for? Browse other questions tagged image-processing image overlay or ask your own question. 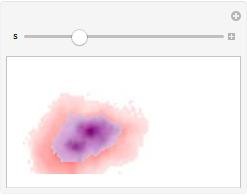 How do I overlay two images from Densityplot and ListDensityPlot? How do I get a beautiful image overlay from data and a model function?